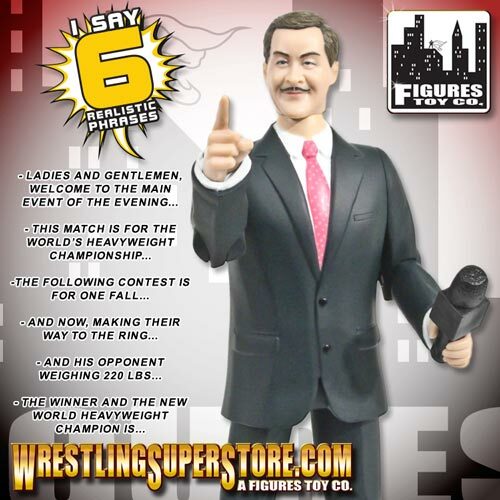 Talking Wrestling Ring Announcer Action Figure by Figures Toy Company. Squeeze his legs together and he will throw his arm up and say five different sayings! 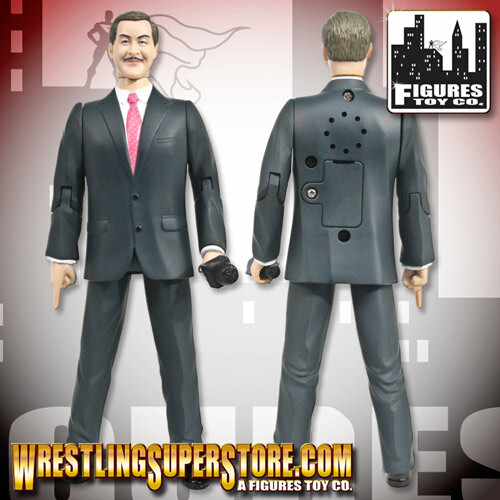 This goes great with your other wrestling action figures and accessories. Takes 3 LR44 watch batteries (included). Figure measures 7 inches tall and comes in cardboard packaging. 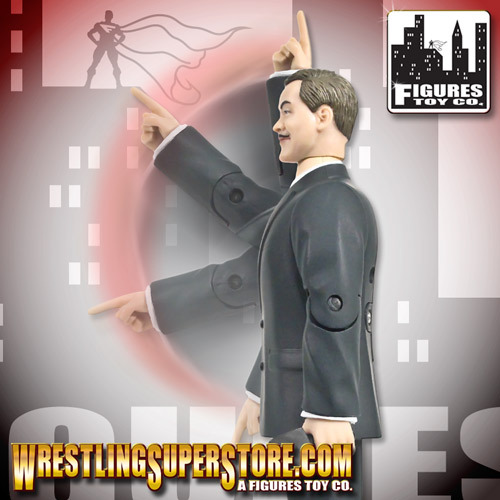 A WrestlingSuperstore.com exclusive! "Ladies & gentlemen, welcome to the main event of the evening!" "This match is for the World Heavyweight Championship!" "And now, making their way to the ring..."
"And his opponent, weighing 220 pounds..."
"The winner, and the NEW World Heavyweight Champion is..."